In Cristiano Ronaldo, Luis Suarez and Edinson Cavani, Portugal and Uruguay boast some of the greatest goal-scorers in world football, but Sochi could be the scene of a World Cup battle of attrition on Saturday evening. These two small countries with proud footballing traditions face off on Russia's Black Sea coast with a place in the quarter-finals at stake. For Ronaldo it is a return to the same Fisht Stadium where he scored a hat-trick against Spain earlier in the tournament, but this time he will be up against a Uruguayan defence that was alone among the 32 teams in Russia in coming through the group stage without conceding a goal. That, and Portugal's recent track record of being involved in tense knockout matches that have gone to the wire, has raised the prospect of a nail-biting contest as the World Cup heads into its latter stages. "I don't know what kind of game it's going to be. Will it be boring? That doesn't cross our minds, but if it's boring and we win...," said Uruguay's veteran coach Oscar Washington Tabarez on Friday, looking ever more frail at the age of 71. Tabarez has led Uruguay for 12 years, restoring the small South American nation as a footballing power once again. Under him they have won a Copa America and reached the semi-finals of the World Cup in 2010. If they can come through Saturday's tie, they may even start to believe that they can go all the way and win a third World Cup, a first since 1950. "We are in good shape, we have been working together for 12 years and achieving our objectives gradually, little by little," Tabarez said. "Considering the limitations we have as a country in footballing terms, we have come into this World Cup just as we wanted and in the three games we have played so far I think we are closer than ever to what we want to be." Uruguay's formidable defence have not let in a goal at all in 2018, while Suarez has recovered from a poor first outing in Russia to score in wins over Saudi Arabia and the hosts. His partnership with Cavani will provide a stern test to a Portuguese defence that was picked apart by Spain and given a fright by Iran in their last group game. "You don't need any greater motivation than to see what is in play, in the last 16 of the World Cup against the European champions. It doesn't get any better," said Barcelona striker Suarez, who came to Russia for possibly his last crack at the World Cup after scoring 25 times in La Liga last season. That was just one league goal fewer than Ronaldo. At 33 he is enjoying the best World Cup of his career and his goal against Morocco in the group stage took his tally at international level to 85, more than any other male European player in history. Both men missed out on the knockout phase in Brazil four years ago, with Suarez banned after biting Italy's Giorgio Chiellini earlier on while Portugal were knocked out in the first round. The Atletico Madrid pair of Diego Godin and Jose Maria Gimenez will be charged with keeping Ronaldo quiet, and Portugal coach Fernando Santos warned his side not to expect their captain to win the tie on his own for the European champions. "We have to play as a team. 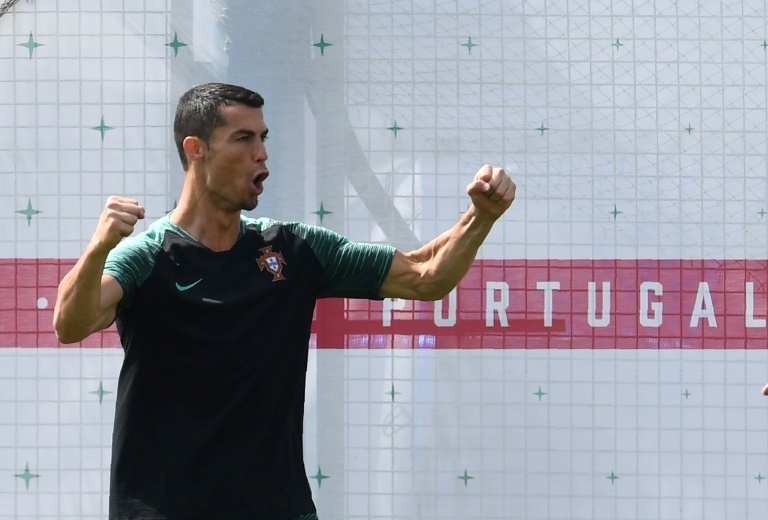 If Ronaldo plays alone we will lose," said Santos, whose team have gone 17 games without losing -- not including penalty shoot-outs -- at an international tournament. "It is true, though, that when both teams cancel each other out, that is where the individuals come to the fore. "I hope my team can be as strong as Uruguay, and that Cristiano can then make the difference."